Over time our teeth become stained or discolored. However, the majority of this discoloration is ‘external’, meaning that it can be removed with the appropriate teeth whitening treatment. Our cosmetic dentists have years of experience performing professional teeth whitening procedures, including – Boost in-office whitening, bleach refill syringes, Opalescence tooth whitening gels (contains potassium nitrate and fluoride for reduced sensitivity and to strengthen tooth enamel), laser teeth whitening treatments, as well as day/night teeth whitening trays. Our Boise dentists provide the best teeth whitening products and services to restore your smile to it’s original healthy white state. Whether you want a same-day white smile, or would like a more gradual teeth whitening experience, our staff with design the best teeth whitening plan for your goals. 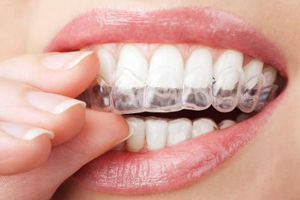 This is the professional alternative to over-the-counter teeth whitening products. It’s a great-tasting way to start your teeth whitening treatment. There are no custom trays or impressions needed, this product is ready to go straight out of the package. Opalescence Go also contains potassium nitrate and fluoride to reduce sensitivity, and increase the strength of tooth enamel helping to prevent tooth cavities. It comes in peach, melon and mint flavors. 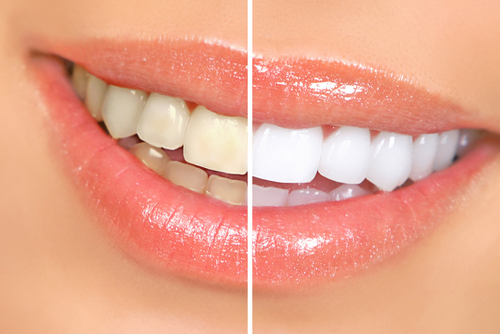 Teeth bleaching is a popular treatment because it whitens teeth beyond their natural color. The chemicals in the bleaching products penetrate and react with the tooth’s enamel and remove stain deposits within the dentin. This procedure involves you wearing a dental tray at home for 30 mins a day until you get the desired results. This treatment is ideal for patients that want fast results and don’t want to use at-home teeth whitening products.